Häfele offers durable, dependable waste management solutions that are not only out of sight - but always close at hand for convenience. 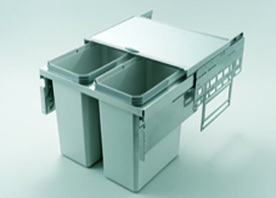 Choose from single and double bins, with features that enable easy removal of bins and soft and silent closing. Heavy duty, under-mount slide with soft-close technology. 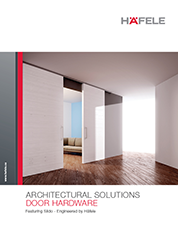 Installs in minutes using self-aligning brackets secured with only four screws. Integrated 3D front adjustment. 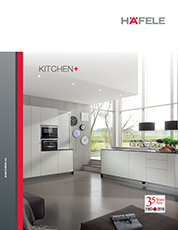 No prior measuring in the cabinet necessary for installation. 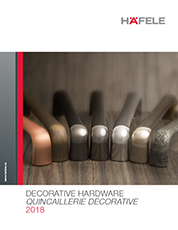 Extendable, double powder-coated metal cover with protective enamel. 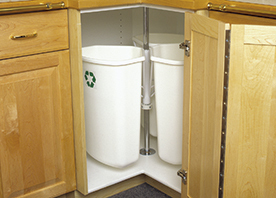 Corner Recycling Bin with three removable 32 quart bins. 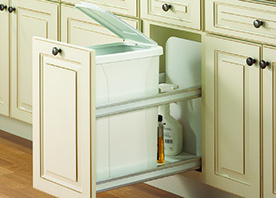 Designed to fit in 36" base corner cabinet.